and show us the splendour of your beloved sons and daughters. one God, for ever and ever. Amen." 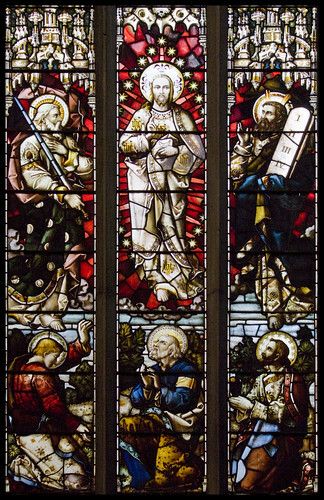 Today, 6 August, is the feast of the Transfiguration, and this stained glass window is in Newcastle Cathedral.